With J1 on a five week break I took the opportunity to head out to Shimizu's neighbours Fujieda MYFC. 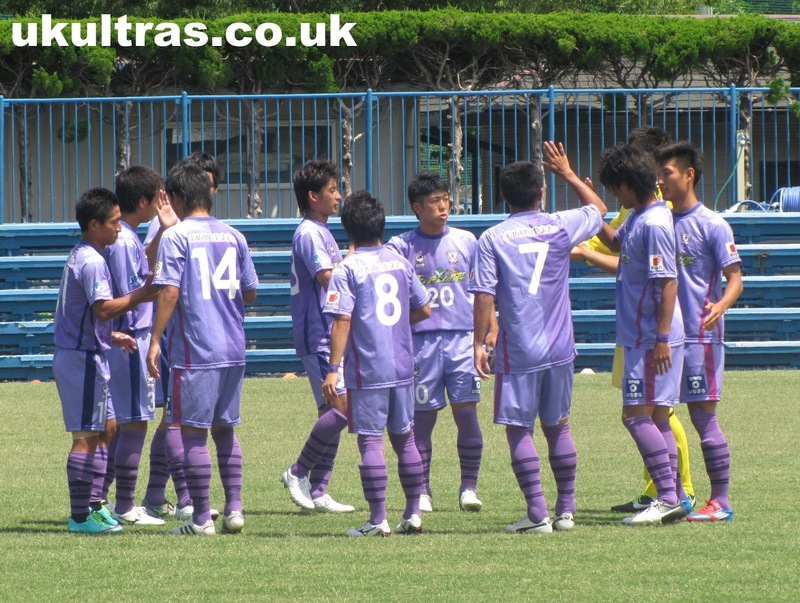 Formed in 2010, MYFC have already risen from the regional leagues to the national JFL, Japan's third tier. Only one promotion from J2, and with the advent of J3, we may be seeing them fully professional within a few years. MYFC don't currently hold J. Associate Membership, but are not far off. The biggest hurdle will be supporters. An average gate of 532 last year, they had a fair few more on Sunday including several S-Pulse fans like myself. 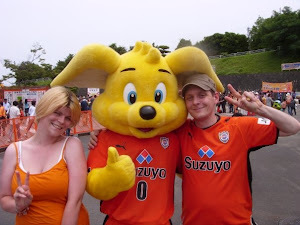 But with Shimizu twenty minutes to the east and Iwata forty to the west, can Fujieda support another fully professional team? 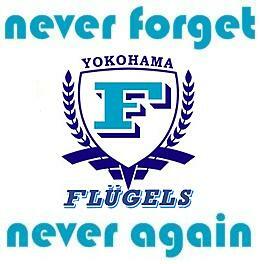 Time will tell, but Fujieda Blux moved to Fukuoka and became Avispa over that very issue. Before I started taking myself over to Brighton's Goldstone Ground in the mid 90s my first taste of regular live football was the altogether more amateur Eastbourne United. Playing in the 10th tier of England football, they were lucky if the amount of paying fans matched the combined number of squad members, but it was real grass roots football, and you can't beat it. That's what came to mind at Fujieda's 3000 capacity Citizen Ground on Sunday. Superficial similarities aside, MYFC hail from entirely different circumstances to Eastbourne United, and can boast lot more local interest. It's a club built by the surrounding community, and they clearly have plenty of pride in their team. 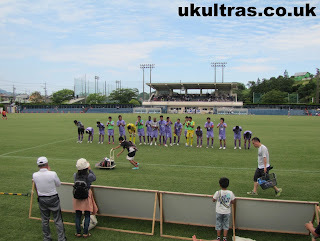 The game was a decent one against Zweigen Kanazawa, another team with J. League ambitions. The visitors took the lead after 15 minutes as a long ball caught the defence flat footed allowing the forward to steal in and volley home. The lead didn't last long, equalising within five minutes. Fujieda should have won it when former Brazilian international Kerlon was through one on one with the keeper in stoppage time. He took it a shade too wide and ended up firing off target, but a draw was ultimately fair. One of the joys of lower league football is finding former top level players seeing out their swansong years, or otherwise hidden gems like above mentioned Kerlon. He represented his country at U20 level, and was signed to Inter Milan as recently as last year. 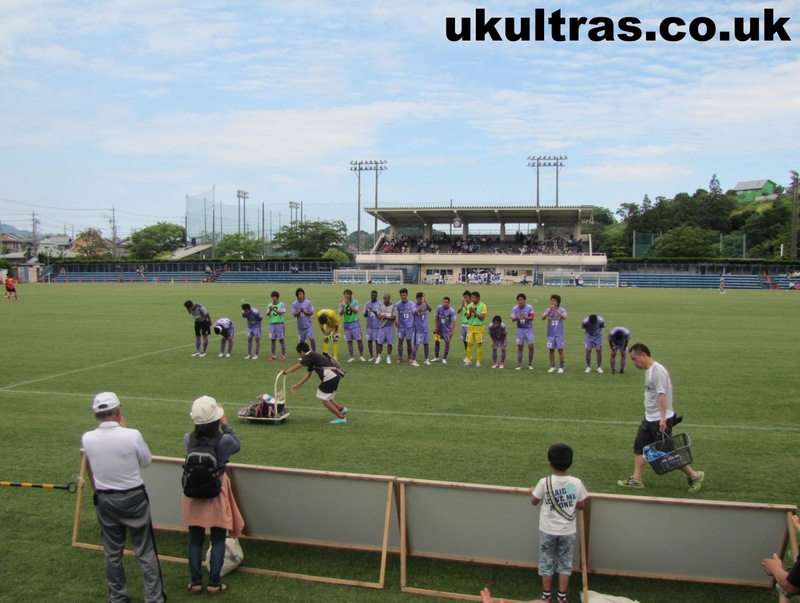 However, injuries and application has seen him loaned out time and again over the years, and now he finds himself in rural Shizuoka. He definitely has the touch about him, but it will come down to fitness and desire whether we see him playing at a higher level again. 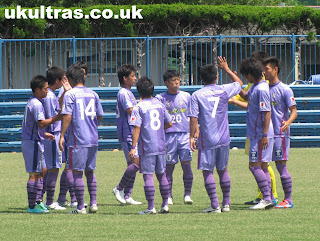 Also signed to MYFC are former S-Pulse legends Daisuke Ichikawa and Toshihide Saito. 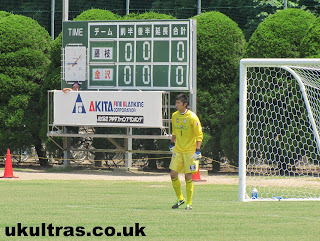 Neither saw action on Sunday, but with Fujieda at home again on the 16th, and J1 on sabbatical until July, I may well venture over again. 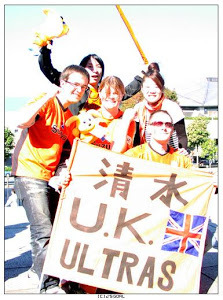 If you want to know more about Fujieda MYFC, there's an excellent blog run by fellow Englishman Cam Melling called Following Fujieda. You can also find him on Twitter here. I'll leave you with a few pictures from the day. 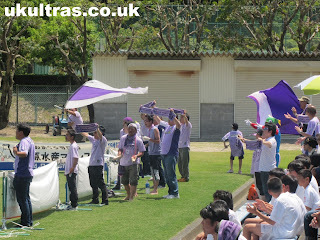 I regret not getting a shot or two of the travelling support, who were more than decent given the distance. Respect to all who plough time and effort into grass roots.